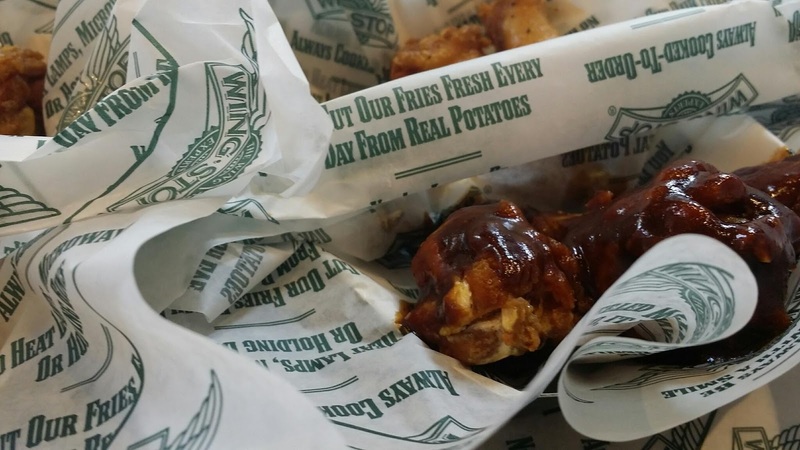 You don't need to be an angel to have wings, all you need is a drive down to one of Jumeriah's latest eatery for wings called Wingstop. This first branch of the popular American chain serves up 14 flavours (13 when I went there about two weeks ago) of chicken wings going from the mildest to the hottest one called Atomic (this one is only for the strong hearted!). 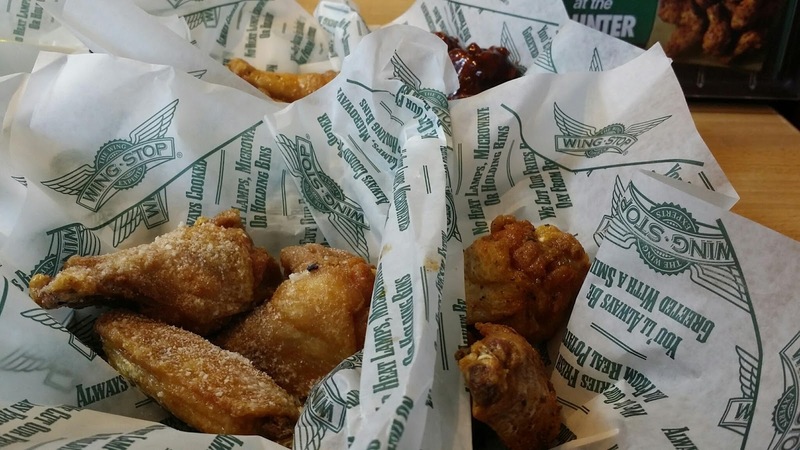 They serve up these wings with two options, bone in (aka the wing) or boneless (bone-out). 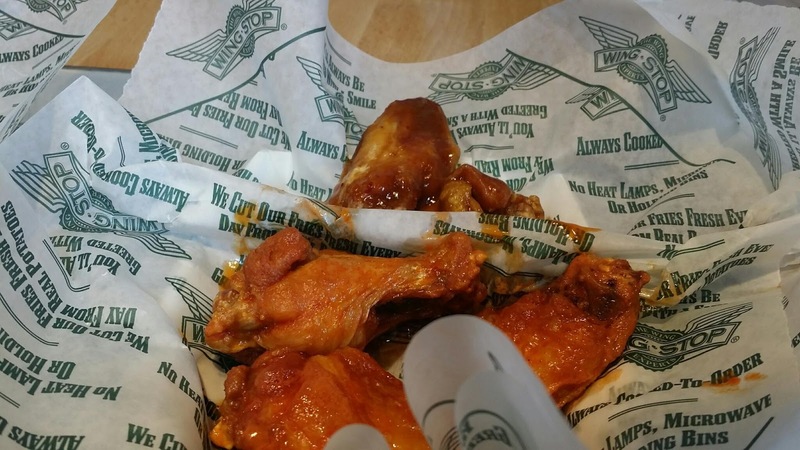 Wings without bones are not really wings now are they? 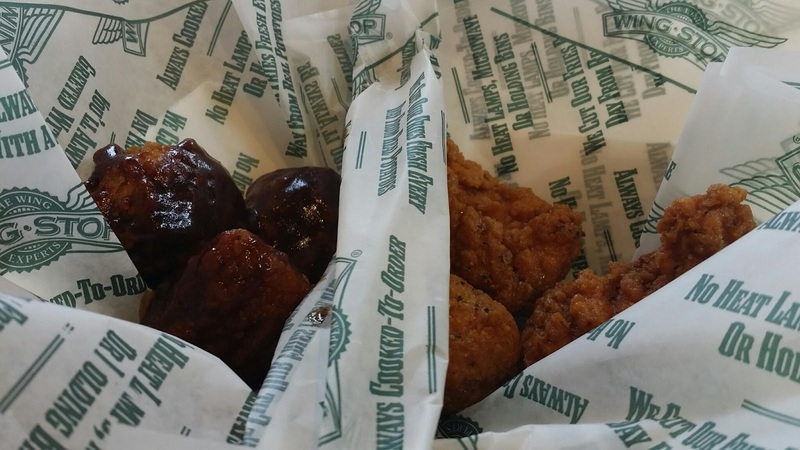 It's like eating chicken nuggets drenched in sauces. So my first suggestion to you go for the bone in, its called chicken 'wings' for a reason. At the tasting I was accompanied by restaurant manger, the company's head of F & B, and the Chef at Wingstop himself, who are all to such interesting and fun people. 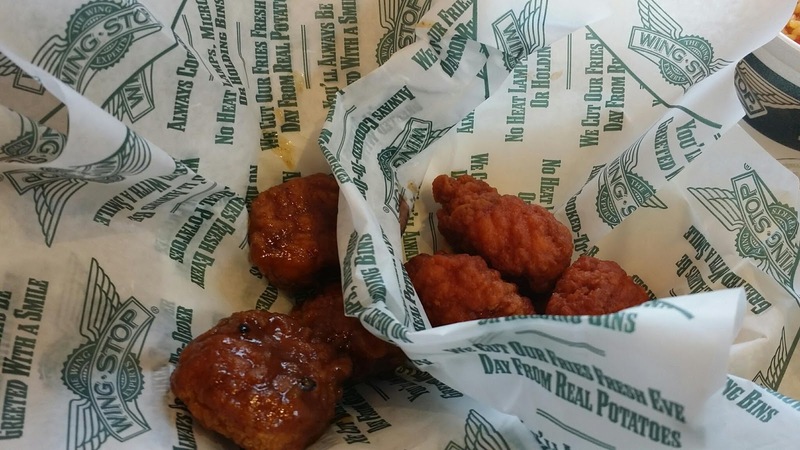 They even led me in on some interesting facts like where the chicken comes from (UAE and Saudi Arabia), where the sauces are prepared and how they themselves were trained in Texas (USA) for months to learn the proper technique of creating these heavenly wings. The mild ones on the menu include Teriyaki, Lemon Pepper, Garlic Parmsean, Hawaiian among others.. on the other hand of the spectrum we have the spicy ones which include Louisiana Rub, Original Hot (not really spicy for me) and of course the father of all spicy wings the ATOMIC. 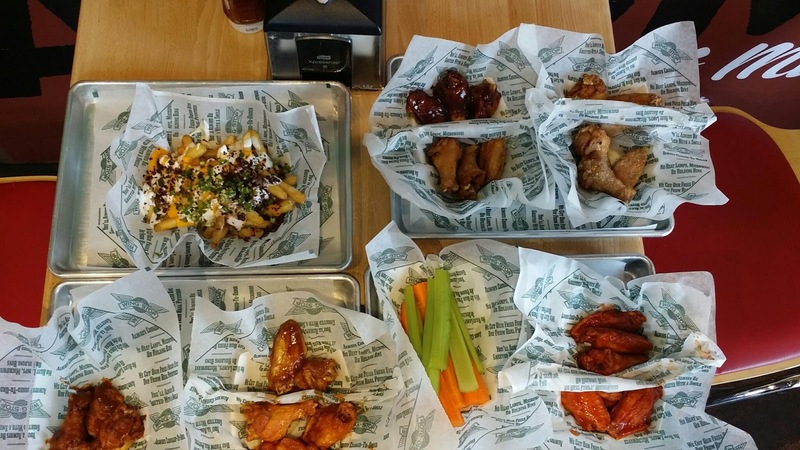 My journey through all the 13 flavours felt like an episode of TLC's Man vs. Food. With Adam Richman leading the way in my head I was ready for a new challenge and this was going to be an Atomic one. 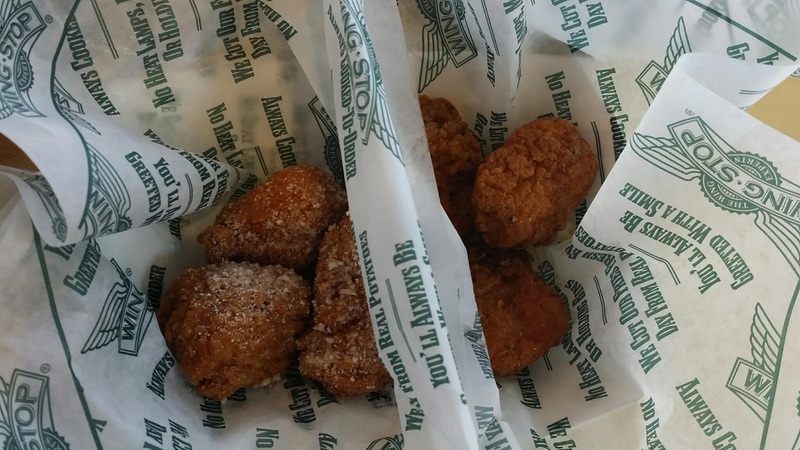 I saved the spiciest for the last (not the best idea though), and made my way through the other 12, before biting into the Atomic. On first bite it wasn't as scary as everyone made it out to be, the second was a breeze as well, I wish I could say the same about all the other bites after that. After the third I started to feel the spicy, but it was still something that I could handle. 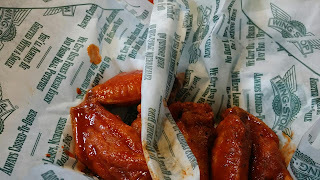 Its when I finished the entire wing the hottness of the sauce started to hit me and very quickly my tongue infact was on fire! I sipped on my cola, munched on a fry and 'womaned' up to take a yet another go, this time with the boneless version. I succeed in keeping the tears at bay, but couldn't control my tongue from frantically biting on carrots dipped (rather soaked) in ranch. Watch the video below to see my reaction to the atomic chicken wings (its a short one, couldn't let all of you see the whole thing). While my burning mouth tried to catch a break, I was told that Big Rossi (who is a vegetarian) had 7 Filafil patties covered in the atomic sauce... A big round of applause for him! The stories of Atomic lovers doesn't end there. 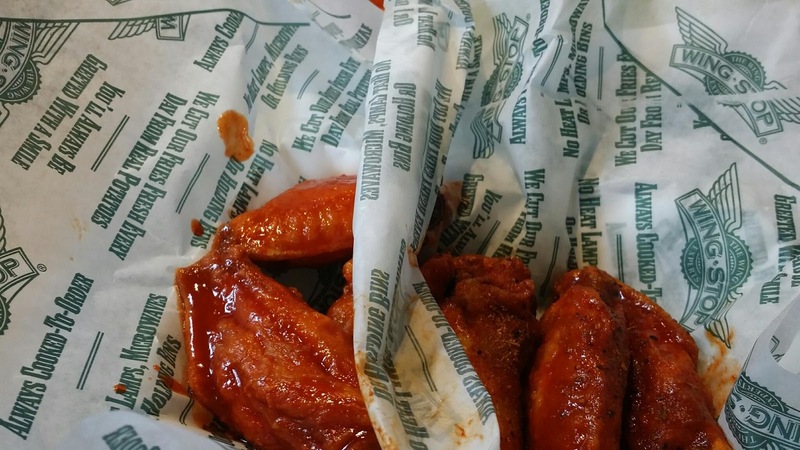 Since Wingstop opened at the end of May, customers have been flocking in everyday to try the atomic, some of them come in literally everyday (at the same time) and relish their order of atomic wings. I cannot pick a favourite because I loved each flavour. 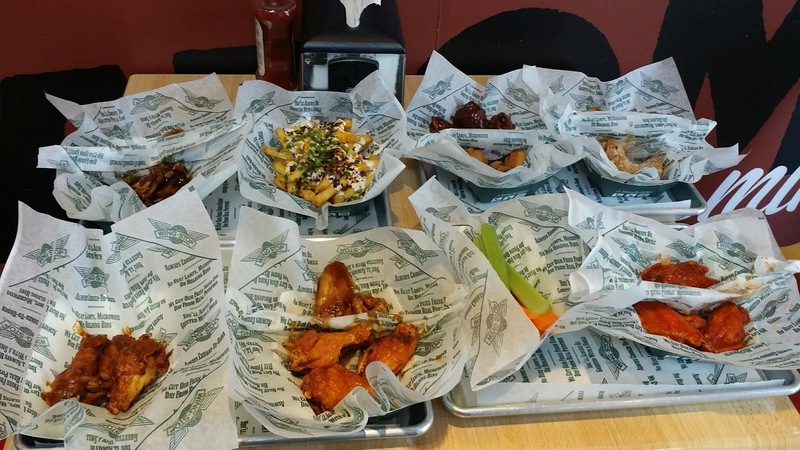 So I will tell you try them all (well not the atomic if you cannot handle spicy food). 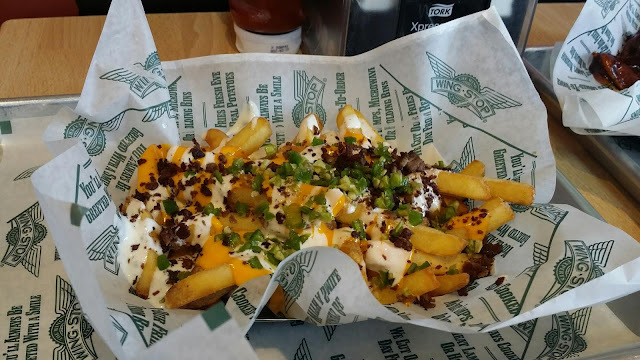 There was another star between the wings, the fries topped with mature cheddar. The cheese actually tasted like cheese instead of the processed version we taste in many places and won my taste buds instantly. 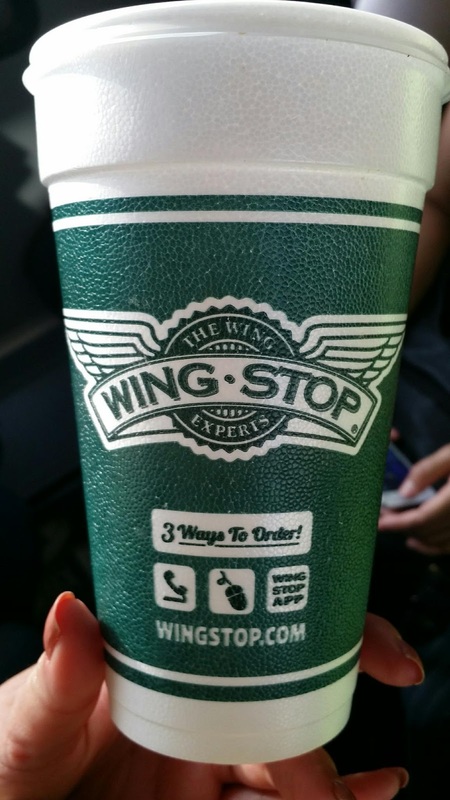 By now its obvious that if you are a non vegetarian, then Wingstop should be your next stop! 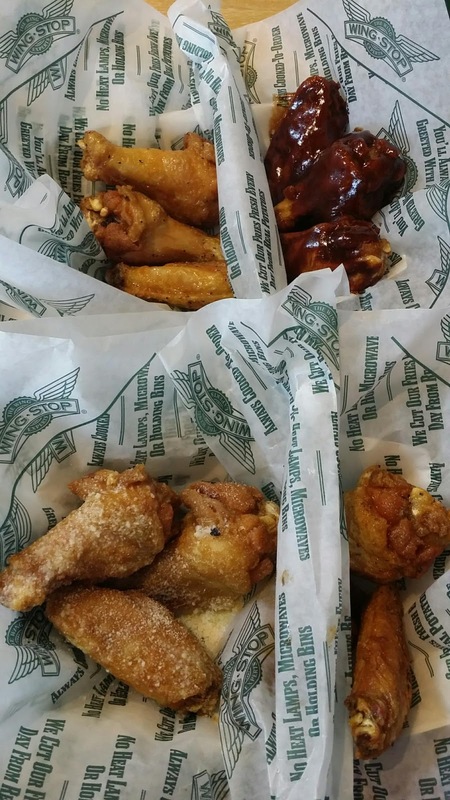 The juicy, flavorful wings will have you coming back for more. I'm starting to crave them right now!